Caneta Research Inc. is a developer of special-application energy system software for the building industry. We have successfully developed attractive, user-friendly packages that meet the needs of designers, utility representatives, facility operators and public sector initiatives in the HVAC field. These packages consist of sizing, screening, sales support and pre-feasibility assessment tools. We also develop algorithms for incorporation in existing programs, develop project-specific customized macro-enabled spreadsheets, and otherwise provide clients with a range of software support, validation and assessment services. 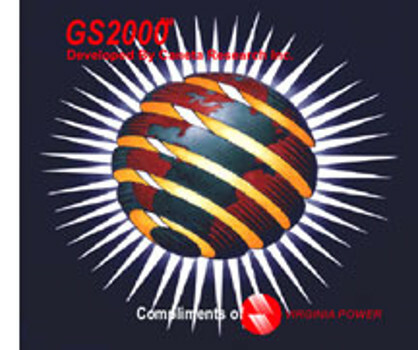 GS2000 – models the soil/system heat exchange for a wide range of user-selected conditions and geometries to accurately size the ground heat exchanger in GSHP systems -independently validated by Oak Ridge National Laboratory. Heat Pump Pre-Screening Tool (HPAC) – allows a quick assessment of the viability of a variety of heat pump types in commercial and institutional building archtypes in major Canadian cities. HVAC Advisor – developed for Natural Resources Canada; was a tool for contractors to calculate heating and cooling costs of air conditioners, heat pumps and furnaces and to advise homeowners of the savings available from the purchase of high efficiency equipment. Arena Dehumidification Screening Tool – originally developed for Union Gas and Enbridge Consumers Gas; determines the costs (both capital and operating) associated with desiccant and conventional dehumidifiers in ice arenas to illustrate cost savings to owners. MURB Retrofit Advisor – developed for Hydro One (formerly Ontario Hydro); estimates the economic opportunity for packaged terminal, through-the-wall or mini-split heat pump retrofits of multi-unit residential buildings with baseboard electric resistance heating and through-the-wall air-conditioners. CAN-QUEST – is a derivative of eQuest that simplifies the creation of an NECB 2011 reference model. Caneta staff supported NRCan in the development of CAN-QUEST by implementing and testing compliance rules.